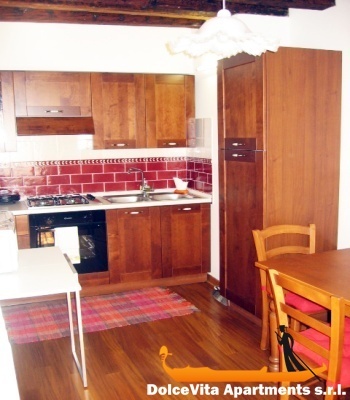 Apartment N. 46: It can accommodate up to 5 people, it is rented from 123 € per Night (not per person). The apartment is furnished with great care and very good taste, is located on the main floor of a historic building. You will find a lounge with dining table and sofas, separate kitchen, double bedroom and a bedroom with 2 beds. 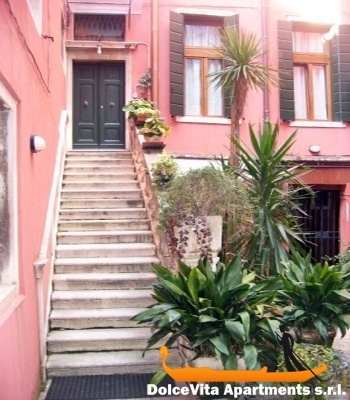 You can reach it by a very typical private courtyard with a beautiful marble staircase. 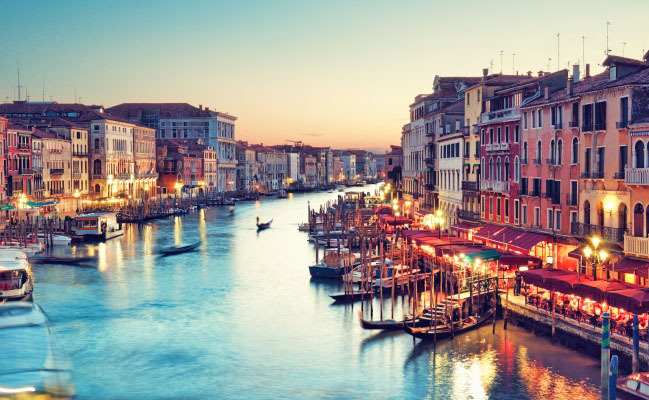 You will be in a central position, between the Rialto Bridge and Ca' D'oro, thanks to three waterbus stops right near the apartment, you can easily reach all attractions of the city. 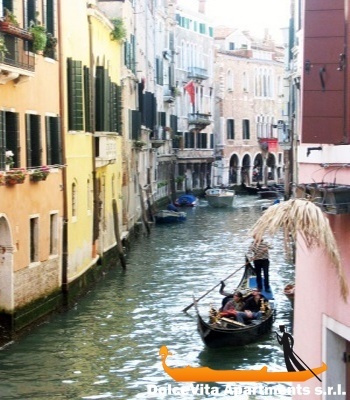 In addition, for those who have special needs, the house can be reached by water taxi. Well equipped apartment. Insufficient lighting in the bathroom, there is no light above washbasin. You have to pass through the first room to go in the second (no direct access). 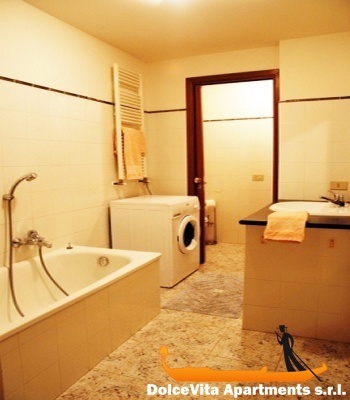 It is a fully equipped apartment for two couples, but rather for a family. 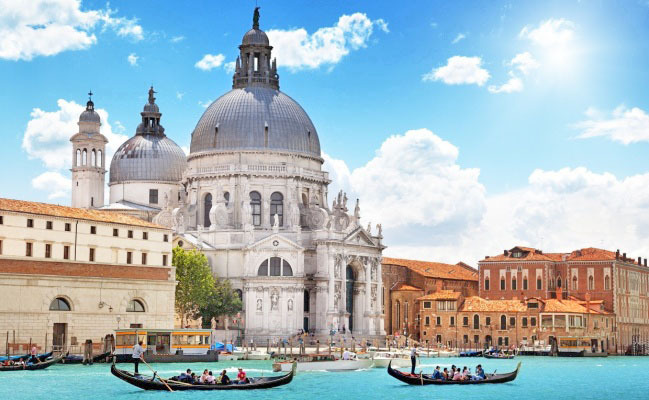 The outdoor courtyard is nice and the location in Venice appreciable. We had to move us to pay, but the discovery of the costume shop was unforgettable. 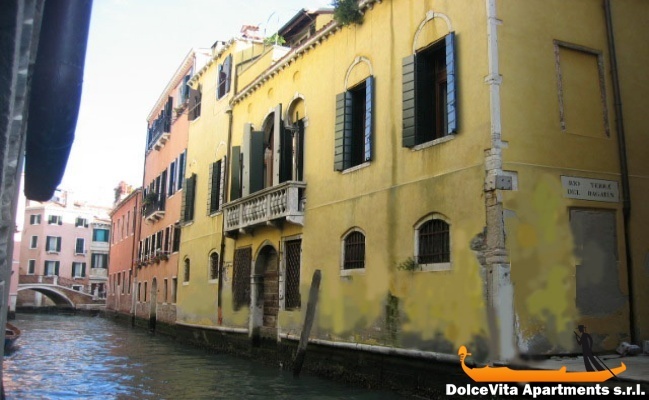 The apartment is very well equipped, in a beautiful place, the owners are nice and helpful, we had great time. I rate the apartment between 4 and 5 stars, knowing that perfection (5) ) is never in this world.. It is spacious, well equipped, well maintained and tastefully furnished. It is located in a central, quiet and picturesque neighbourhood. Excellent hospitality of the owners. Flats 46 and 47, both 5. Beautiful location for these two apartments in a quiet and central district. Nice and clean. Excellent hospitality of the owners. 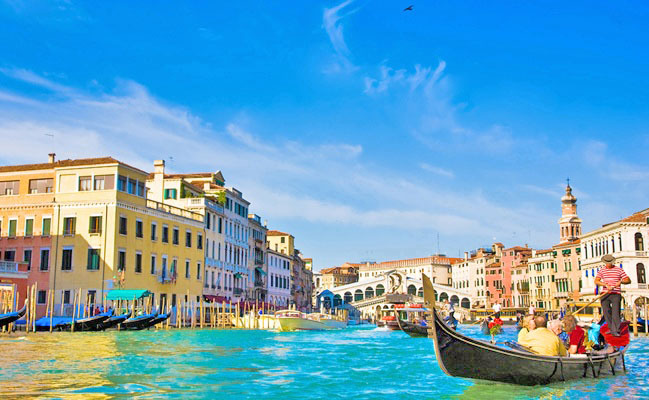 We enjoyed the warm hospitality and the apartment in general; the calm and the position has allowed us to easily get in the different neighborhoods of Venice and the islands. Large variety of restaurants and small shops, perfect for shopping.